Innovative showcase of arts and culture marks 10 years of Sing-France cultural exchange. Singapore, 29 March 2018 – An exciting line-up of over 20 arts and cultural programmes await Singapore at Voilah! French Festival Singapore 2018, as France and Singapore pay homage to 10 years of cultural cooperation and exchange this year. The highly-anticipated festival returns from 1 April to 5 May, highlighting the best of French-Singapore partnerships and innovation in the arts, culture and science. From exploring visual arts, film and music through new technologies and techniques, to thought-provoking showcases spotlighting issues of our time, this year’s festival offers something for everyone. Reflective of the bridging of two communities, Voilah! has named respected local thespian and personality, Hossan Leong, its first Singaporean Patron for French Culture. An artistic tour de force, Hossan helped to bring French arts and culture closer to home for many Singaporeans through his works, and in 2010, was conferred the Chevalier de l’Ordre des Arts et des Lettres by the French Ministry of Culture. The Rock’s Clown. Photo courtesy of Jean-Lambert Wild. Leong will open this year’s Festival on 1 April in a first-time collaboration with French artist Jean Lambert-Wild and juggler Martin Palisse. The Rock’s Clown is an outdoor visual spectacle mixing poetry and humour with circus antics and a dash of Greek mythology, as the character of Sisyphus is brought to life in and around Gardens by the Bay’s Dragonfly Lake. 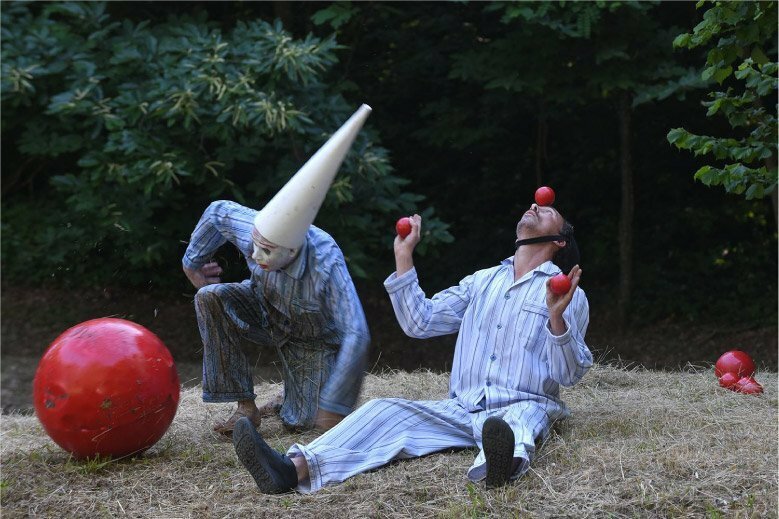 This one-night-only performance will be the last of Jean’s Clown Parleur (The Talking Clown) trilogy. Tarek Atoui with invited local hosts, Vivian Wang and Yuen Chee Wai, for The Ground: From the Land to the Sea. Photo courtesy of NTU CCA Singapore. 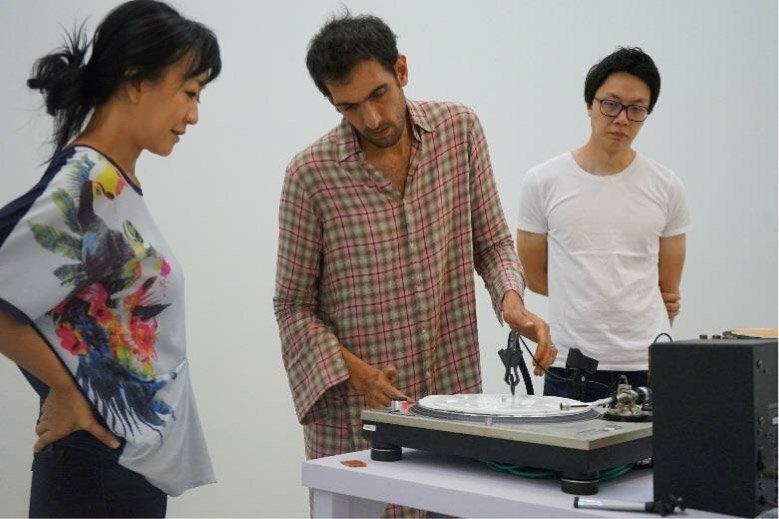 Sound artist and composer Tarek Atoui presents his first solo exhibition in Southeast Asia, titled The Ground: From the Land to the Sea. His presentation – a spatial composition that comprises various sounds, instruments, music and new technologies – includes an aural collection with unique Singapore sounds, recorded at local harbours and waterfronts. At the core of Atoui’s practice is an on-going process of inviting composers and artists to collaborate on his pieces, in search of new ideas, gestures and experiences. Here, he has invited acclaimed local sound artists and musicians Vivian Wang and Yuen Chee Wai, and music curator Mark Wong, as well as French drummer and electro-acoustic composer, Uriel Barthélémi, to interact and create their own interpretations of his composition within the exhibition. Inspiring a new generation of young local performers, acclaimed French choreographers Annie Vigier and Franck Apertet (Les gens d’Uterpan) have worked with the graduating dance students from LASALLE College of the Arts (School of Dance and Theatre) to present Prologue – a newly-commissioned work premiering on 6 April. A poignant piece reflecting the serendipity of the crossing of paths, the performance will be showcased as part of the students’ graduation showcase. Voilah! 2018 also turns the spotlight towards today’s issues, presenting different perspectives through new techniques and technologies. In an age of rapidly-developing technologies, there is constant discussion on the limitless possibilities of innovation. Yves Gellie confronts festival-goers with an inside look at the development of humanoid technology. 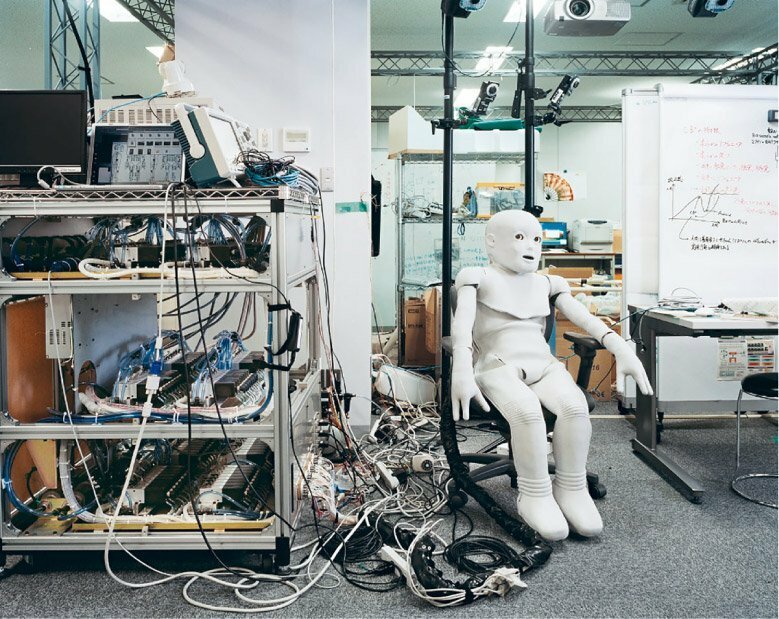 She presents the world premiere of Human Version, a photo exhibition that dives into the world of scientific research laboratories dedicated to the development of robots, or humanoids. The exhibition ponders the fate of humankind, yet is also an unnerving ode to the increasingly-close relationship shared by man and robots today. Going a step further, Mathieu Briand will bring the laboratory into the National Design Centre, making science fiction a reality in his debut performance exhibition, A-DROYX. Over 12 days, the artist will create his very own child-like humanoids from scratch, and visitors are invited to watch and interact as he designs, models and programmes his creations into life. Touched by the Cold. Photo courtesy of Michel Rawicki. As a nod towards Singapore’s Year of Climate Action this year, Michel Rawicki’s photo exhibition, Touched by the Cold, will steer the conversation on climate change. The impassioned French photographer spent the last 20 years documenting the plight of wildlife in the poles – a region that bears the brunt of current environmental concerns. 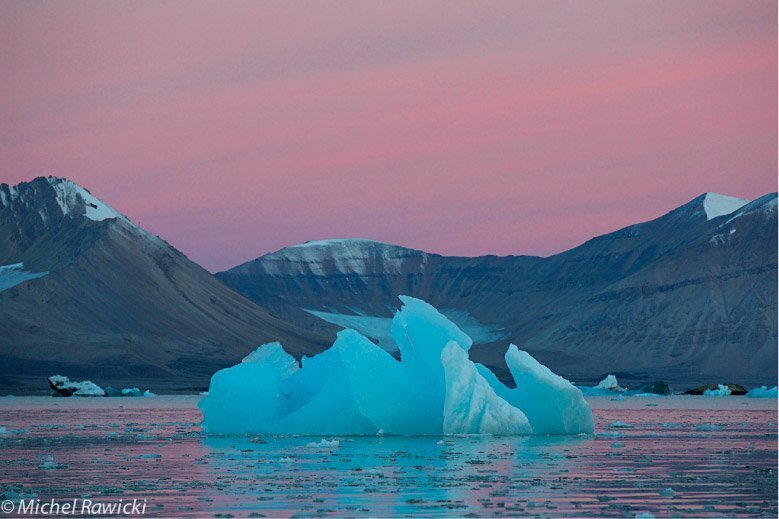 Festival-goers will be transported to the depths of the Arctic by the retrospective photograph series, all in the artist’s hopes of igniting climate change discussions and a greater awareness on the importance of conserving nature’s beauty. Botanical Notes. Photo courtesy of Francis Hallé. Botanist Francis Hallé, on the other hand, has spent close to 50 years documenting the flora and fauna in rainforests and gardens around the world through detailed hand-drawn sketches. 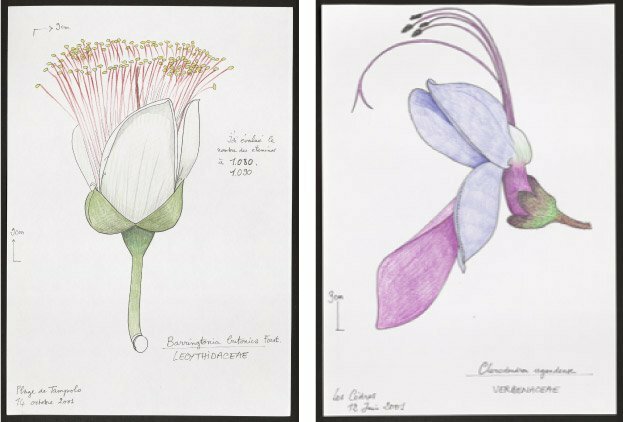 Botanical Notes is an exposition of Francis’ life’s work, reflecting the importance and impact that his drawings have had on the fragile, fast-changing natural landscapes of the world. 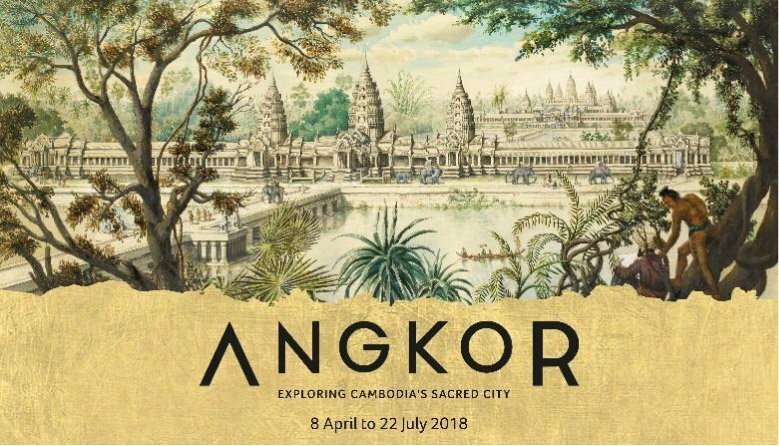 For the first time, a selection of masterpieces from the collection of Paris’ Musée Guimet – Europe’s leading museum of Asian art – will be travelling out of France to be showcased as part of Asian Civilisations Museum’s blockbuster exhibition, Angkor: Exploring Cambodia’s Sacred City. As part of the exhibition, Voilah! has also worked with the museum to gather international thought leaders from France, Cambodia, USA, Australia and Singapore, for a symposium discussing the legacy, present day challenges and future plans of the world heritage site. The cultural and musical traditions of Southeast Asia take the stage too, as part of ROOTS – a musical walk through the years 1870 to 1915, also known in Europe as the Belle Epoque or the Golden Age. Helmed by a multi-national cast led by artistic director Sabrina Zuber, the performance will twin the works of some of Southeast Asia and Europe’s greatest composers and the popular melodies of those times. Partnering different local organisations, Voilah! 2018 presents a medley of multi-sensory experiences for festival-goers, introducing Singapore to French heavyweights across different genres. For the food aficionados, learn how to make Bordeaux’s famed canelés; get a taste of oysters flown in from the South-West of France; or discover the secret behind French butter in a butter-making class. Little ones will also be able to pick up the art of chocolate-making from Valrhona Master Pastry Chef trainer, Brice Konnan-Ferrand, and Executive Master Pastry Chef, Fabrice David – famed creator of the world’s first circular chocolate-making technique – in an exclusive chocolate workshop for children. Party-goers will be in for a treat, as three French personalities make their way to Singapore as part of the Festival. French pop artiste Charles-Baptiste will perform in Singapore for the first time at the Singapore Botanic Gardens, with an impressive repertoire showcasing his musical experimentations. Sofitel’s world-renowned signature party La Nuit makes its debut here, and will feature the collaborative beats of French DJ Stephane Pompougnac and Singapore’s DJ Kaylova. French house and electro DJ maestro, Martin Solveig, is also set to return to Zouk Singapore with a cosmic rave on 4 May, closing Voilah! 2018 on a high. Voilah!’s dynamic line-up is a multi-institutional effort by a myriad of local and international partners, including Asian Civilisations Museum, Alliance Française de Singapour, Esplanade Recital Studio, Gardens by the Bay, INTERSECTIONS Gallery, LASALLE College of the Arts, National Design Centre, NTU Centre for Contemporary Art Singapore, Singapore Botanic Gardens, The Projector, Zouk, and the community of French businesses based in Singapore. Organised by the French Embassy and the Institut Français Singapour, Voilah! 2018 will take place from 1 April to 5 May 2018. 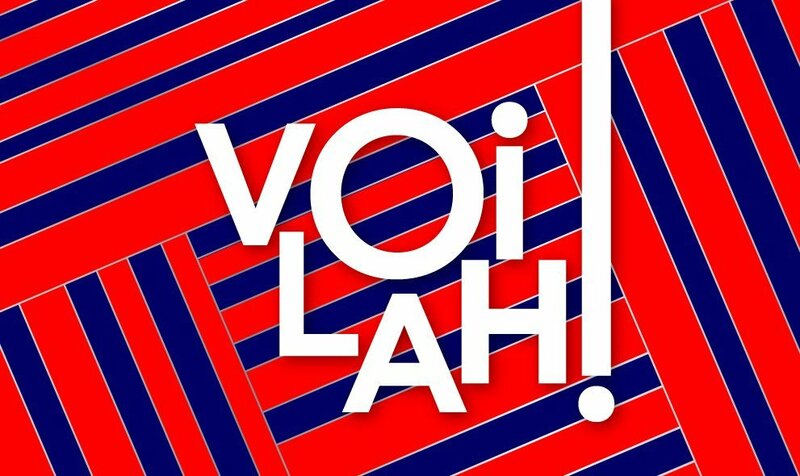 For more information on the festival, please visit www.voilah.sg. Voilah! is the signature French festival in Singapore. Organised by the French Embassy and Institut Français Singapour, this annual festival presents the best of French creativity and innovation in culture, science, and education through diverse and engaging events all across the island. A meeting point between the French and Singaporean communities, Voilah! is also a legacy and celebration of the strong relationships with Singaporean partners, institutions, and cultural and scientific centres. Held from 1 April to 5 May, Voilah! 2018 celebrates the 2018 France-Singapore Year of Innovation, and through its programmes, casts a spotlight on innovation, our natural environment and Asian arts. For more information, visit www.voilah.sg.